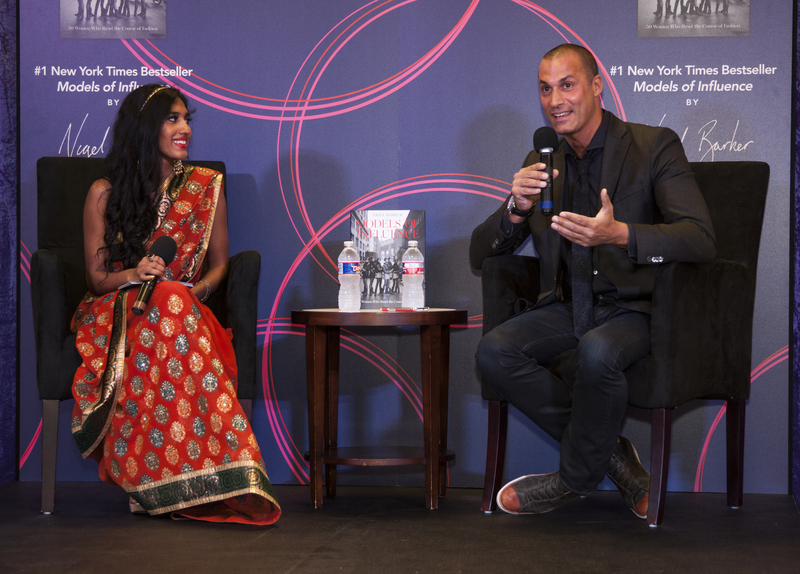 Nigel Barker, former model, photographer, television host and author, visited Macy’s at First Colony Mall in Sugar Land, Texas in honor of Asian Pacific American Heritage Month and his book tour for “Models of Influence.” He also surprised us all with his intimate connection to the May celebration: his Sri Lankan background! His mother was a beauty queen named Miss Sri Lanka (which might explain his good looks) and his wife, Cristen, is part Asian. 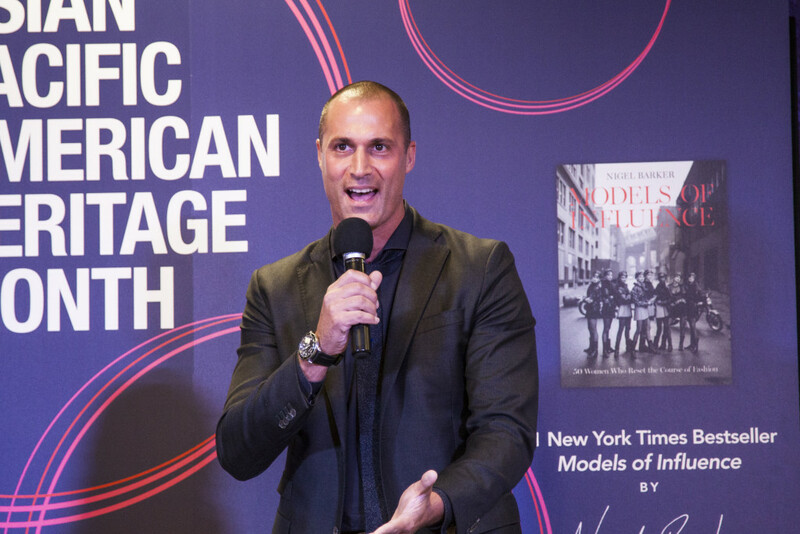 Nigel Barker became a house-hold name as a former judge for 9 years on America’s Next Top Model and as the host of Oxygen’s The Face. Nigel was going to medical school but his mother suggested he go to a televised model search (ironic!) where the scouts liked him and signed him to a one-year modeling contract. His mother, aunt and grandmother reassured his decision and encouraged him to pursue this new career. It was natural for them to be so supportive since Nigel’s mom had been Miss Sri Lanka (a title that was controversial because of her ethnicity and the conservative community they lived in). His mother had a profound effect on him and set an example of perseverance and made him feel he had grown up with a model in his own home. Nigel successfully modeled for 10 years throughout New York, London, Paris and Milan. While working as a model he noticed that in the 1990’s the bodies were shrinking. In 1996 he didn’t fit in with description because of his 6’4 height and well-built body that was not going to ‘sell” in the industry at that time.” He loved the industry so much he turned to fashion photography. To start building his fashion photography portfolio he recurred to all the beautiful models residing in his apartment building to pose after they were done with a runway show or editorial shoot by asking them to not remove their professional make-up and hair-style at the end of the day. Pure genius! And StudioNB was born in the Meat-Packaging District in Manhattan. Nigel is a pro photographer but he did show us how to take the perfect selfie! He claims to have started the trend himself but missing out on branding it with that name. 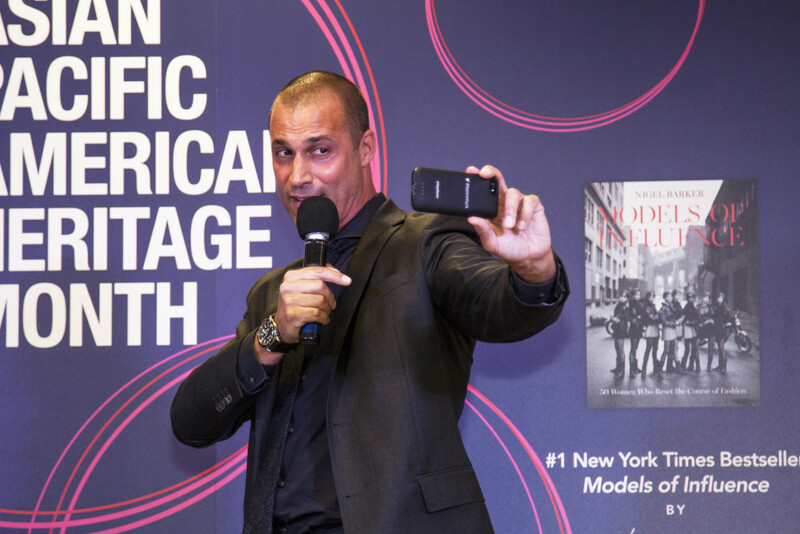 Next year, “America’s Next Top Model” hosts it’s first season in India. Was this also due to the power of social media and the fan-base in that country? Maybe! Barker is a celebrity ambassador for the Make-A-Wish Foundation, Do Something, The United Nation Foundation’s Girl Up initiative and campaign shooter for Fashion Targets Breast Cancer for which he also directs films and documentaries devoted to his humanitarian work. Legend holds his grandmother was the first women in Sri Lanka to drive a car. His wife is a twin which is something I asked him about and unintentionally made him blush! Check out the video below. 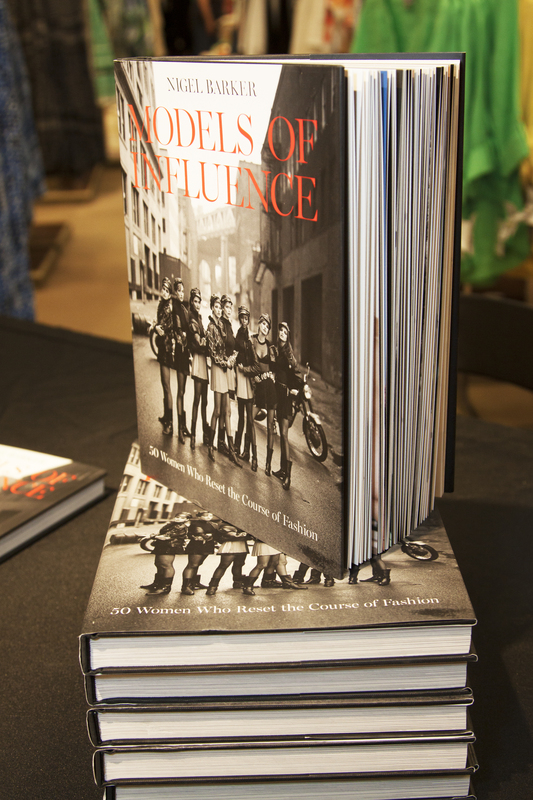 In his new book, Barker curates and profiles 50 models who made an impact in the fashion industry starting in the 1940’s using photos from the archives of Mario Testino, Richard Avedon, Irving Penn, and Herb Ritts, among others. 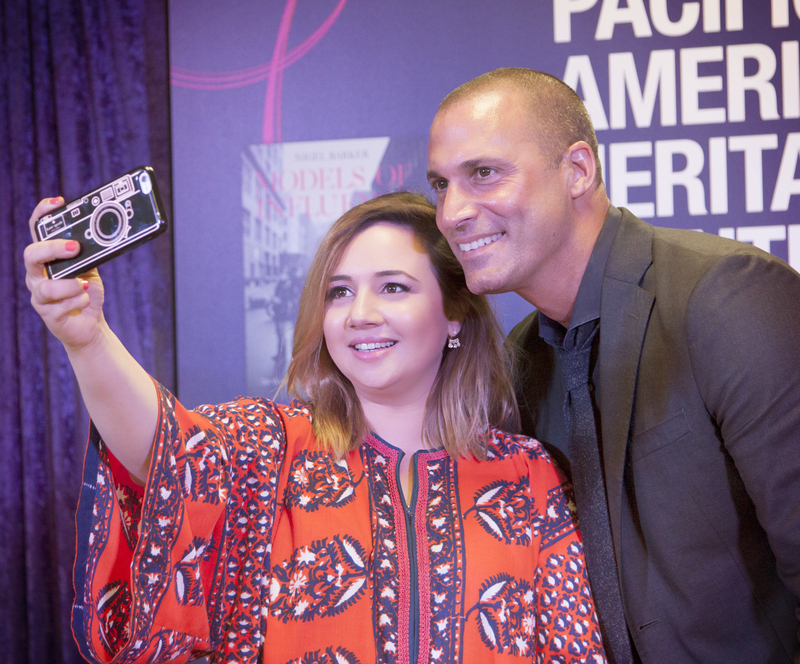 He has another book published called Nigel Barker’s Beauty Equation: Revealing a Better and More Beautiful You. At the end of his conversation, Nigel was kind enough to have a meet and greet with all of us and sign our books. 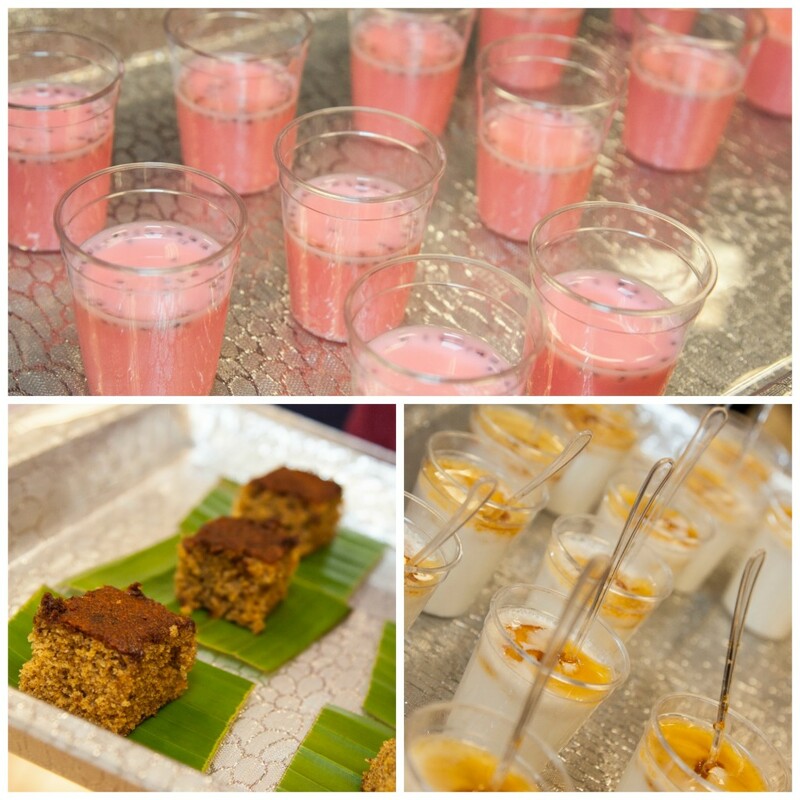 Before getting to hear Nigel talk about his evolution in his modeling career and his Sri Lankan background we were treated to some delicious Asian Pacific inspired bites and music. 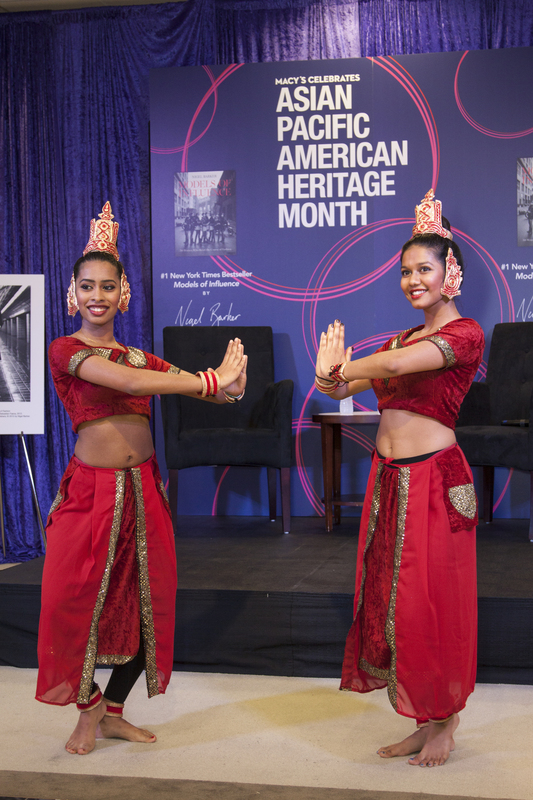 I am not that familiar with the Asian-Pacific culture and I loved having the opportunity to experience their culture through food and dance. Prior to Nigel’s introduction there were various things to try like this yogurt with honey and the date cake which was delicious, fluffy and lightly sweet! These two dancers were beautiful in their red attires. Check them out dancing in the video below. Video recap of the entire event below! Thank you to Champ from CW Video Pro for providing both video in this post. You can contact him for professional videography services for weddings, businesses, broadcast & corporate vents. 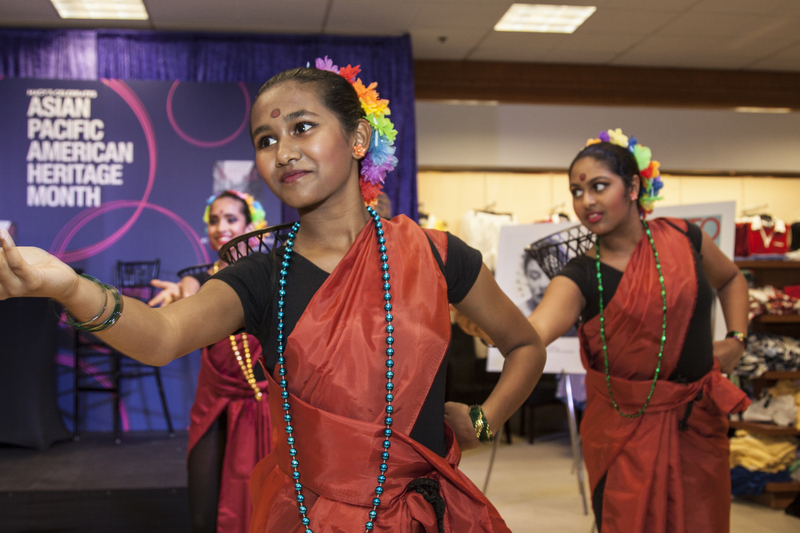 Thank you to Macy’s for hosting such a wonderful event celebrating Asian Pacific American Heritage Month! 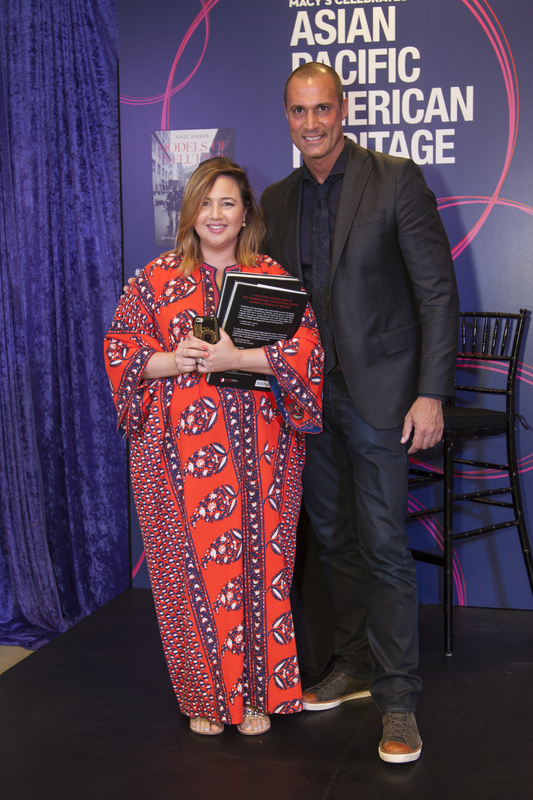 It was amazing to get to hear Nigel Barker speak aboout his inspiring life and his ties with this culturally rich celebration.